flickr rss feeds. adding more everyday. 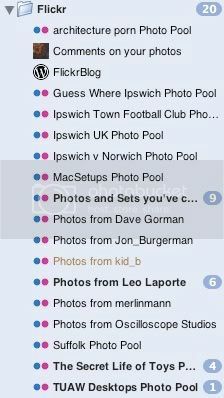 allows me to see photos from groups, activity on my photos, other peoples photos. nice break from the usual news and text i usually get in my feeds.